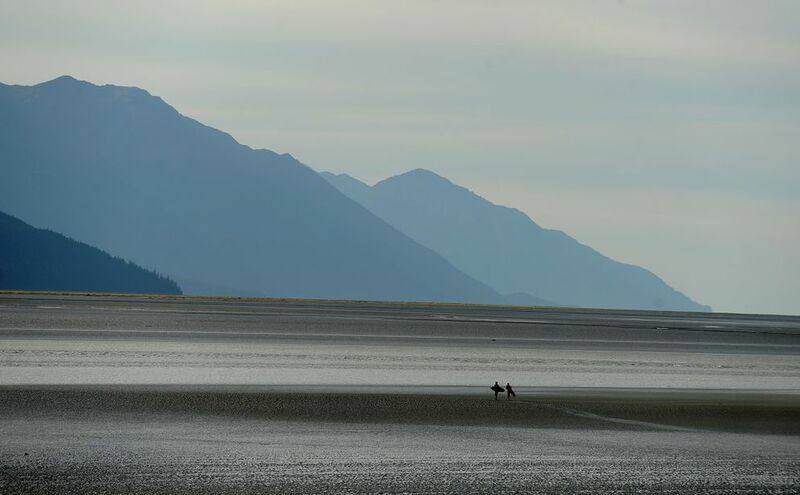 Surfers took advantage of good conditions Sunday to ride the bore tide on stand-up paddleboards in Turnagain Arm. 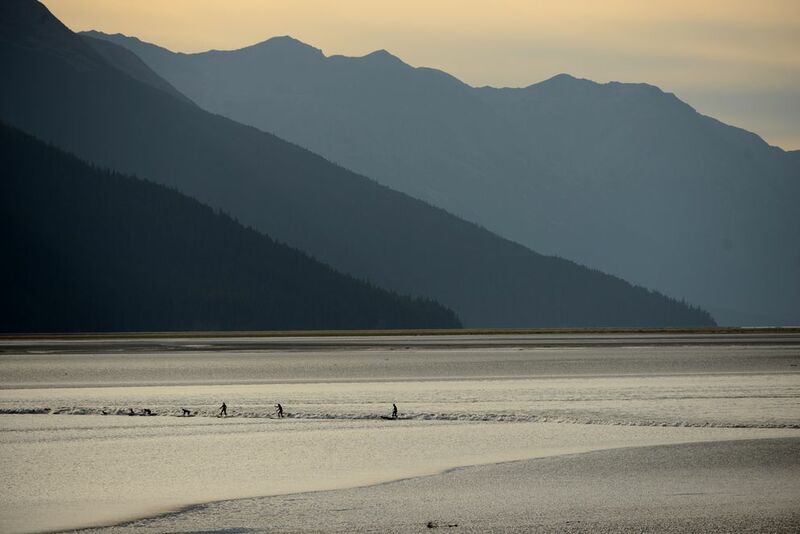 The surfers paddled out to meet the incoming tidal bore along the Seward Highway south of Girdwood. 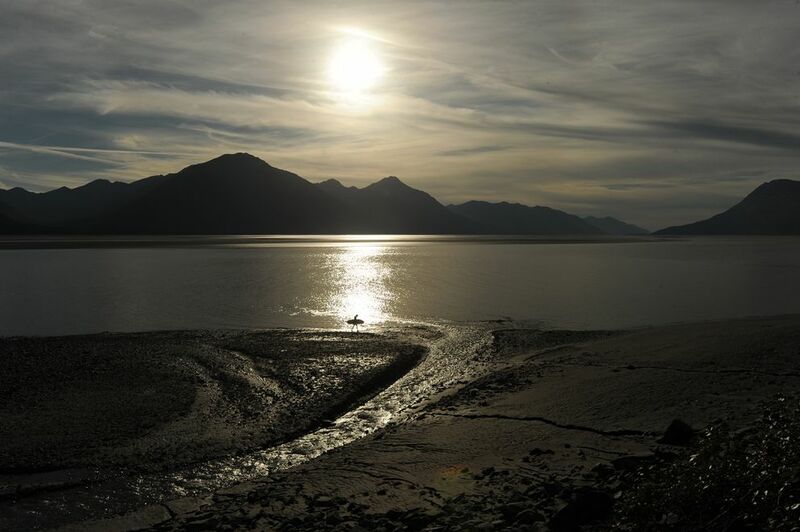 As water flows out of Turnagain Arm, the tide changes and water starts to flow back into the arm. 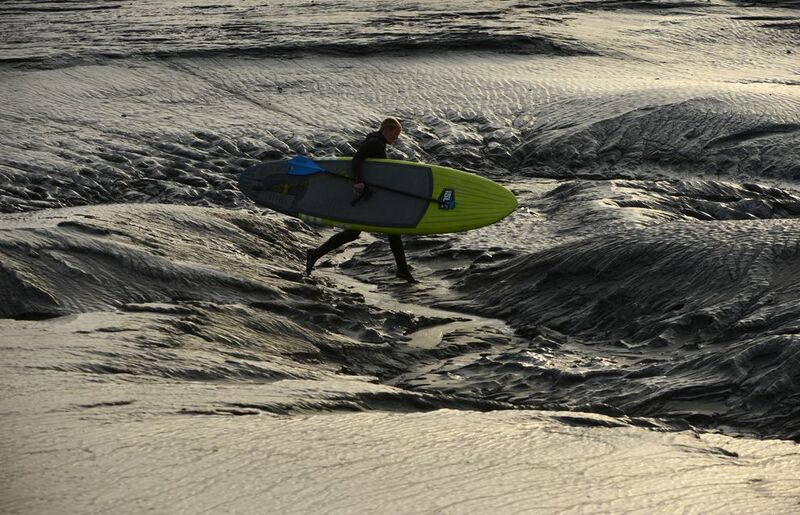 The opposing water flows meet, creating a wave that travels up the arm with the rising tide. 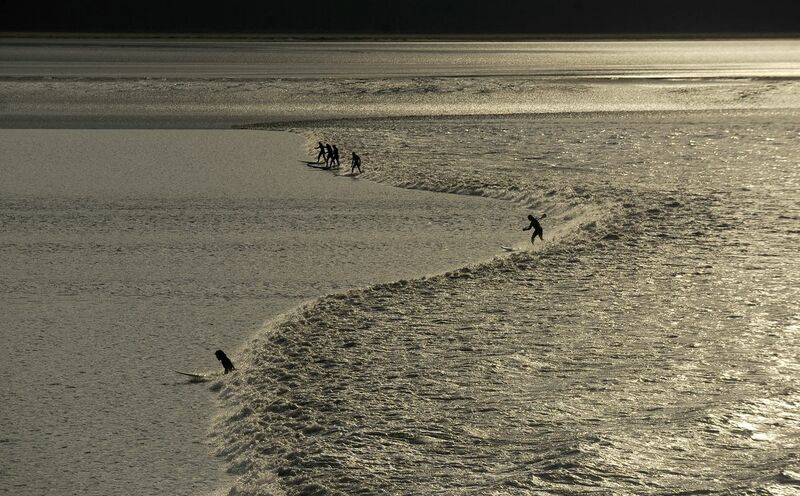 The wave can reach 6 to 10 feet as it travels up the shallow arm. 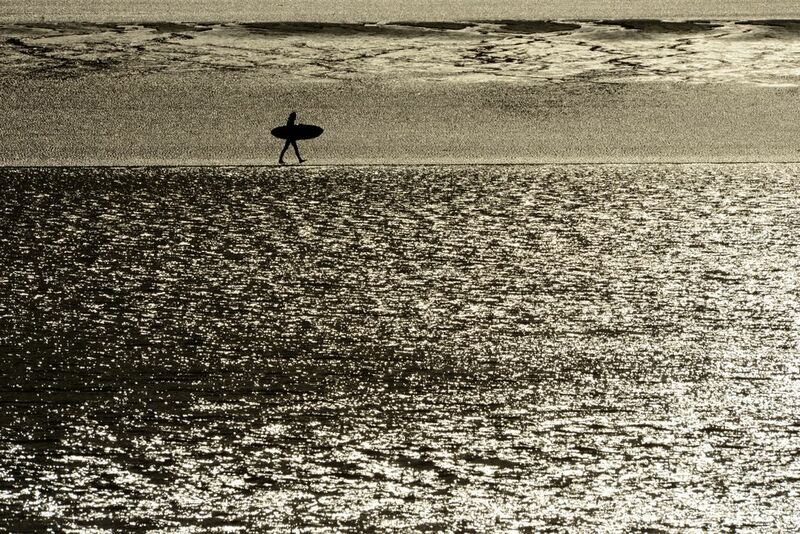 If the wind is blowing out the arm, as it often does, it will push the wave higher in the narrowing arm.